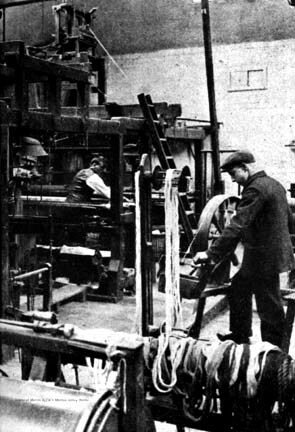 Weaving at Morris & Co.'s Merton Abbey Works. J. & J .S. Templeton & Co.
Arts & Crafts Textiles in Britain. Exhibition Catalogue. The Fine Art Society in Association with Francesca Galloway, nd.